Another month has passed us by! It seems amazing that the first of August is here, and that I am sharing more goodies that found their way into my kitchen. Some of the photos were taken in my lounge which did not work out very well – but it was raining and I did not feel like the walk to my ‘studio’. 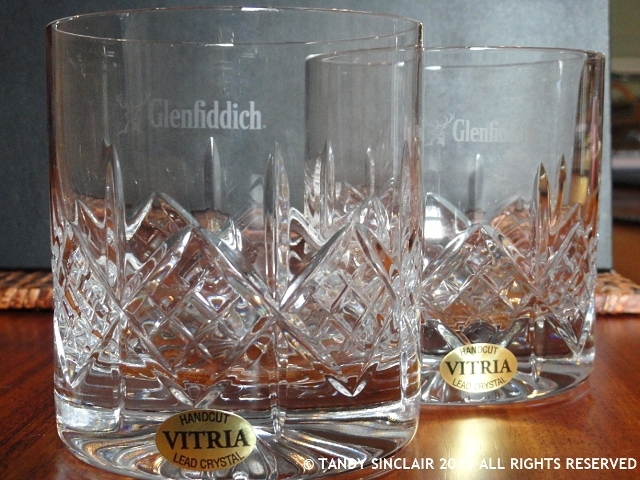 are two glasses that Dave and I won when we were at the Glenfiddich tasting evening that took place at this year’s Knysna Oyster Festival. I was given tickets to attend this event and it was such a wonderful evening. Thank you to the event organizers for this! are two Le Crueset espresso cups. I bought them for my avocado chocolate mousse and I am hoping to collect another 6 for our dinner parties. 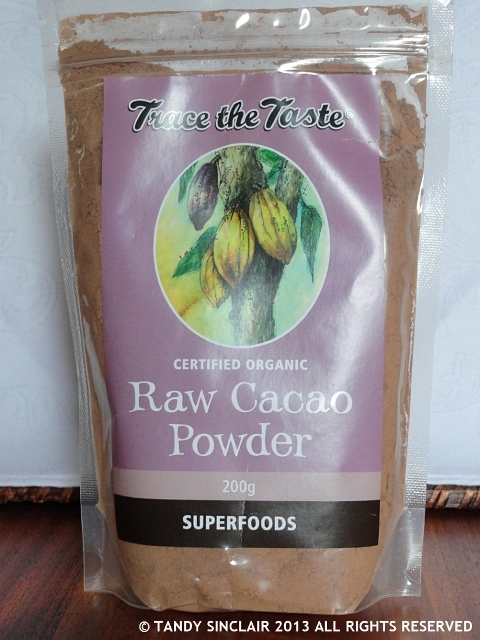 is raw cacao powder. I ordered it with my last food order and I am planning on using it for my cakes in future. are disposable baking tins from my friend Chantelle for my birthday. I cannot wait to make something and see how they work! is a spice dabba which Alex & Co. got me for my birthday. I have changed around some of the spices as I have containers of some of them already. I have placed my whole dried chillies into the container as I have an abundance of fresh ones at the moment. is a butter keeper. I am so excited to see how this works in summer! My friend Erica gave me a gift voucher from Le Creuset and so I used that to pay for part of this gift. It is meant to keep the butter spreadable no matter the temperature. 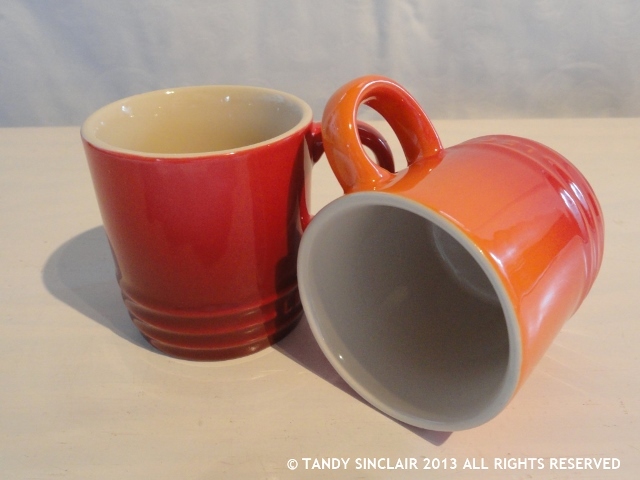 are two more Le Creuset espresso cups for my collection. Stella sent me a yuppiechef voucher and I put it towards two more for my collection. I am now half way there! 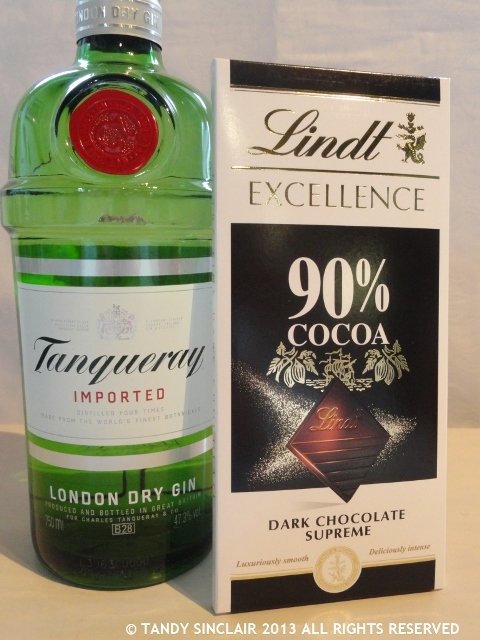 is a bottle of Tanqueray Gin and a slab of 90% dark supreme chocolate from Lindt – stay tuned to see what I make using these ingredients! I was given these as gift when we attended a Lindt and Tanqueray evening. 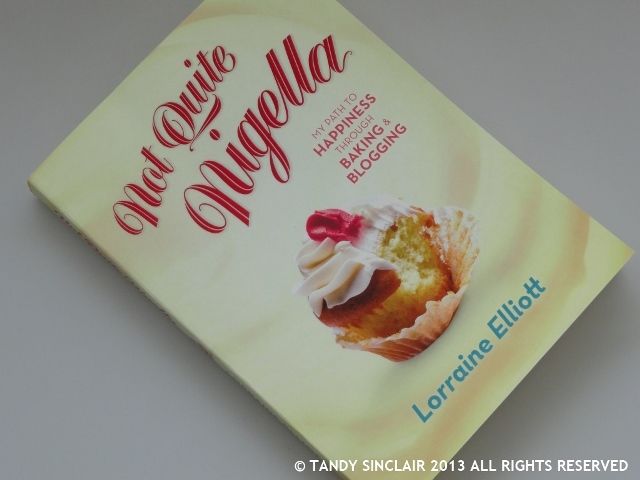 is my signed copy of Lorraine Elliott’s book Not Quite Nigella. The book is not available in South Africa but I was lucky enough to get one from my sister. Lorraine posted it to Kerry and Kerry sent it back to South Africa with my mom. I have a PILE of books to review and this is going to be my reward for getting through them all. is my new toy for my Kitchen Aid! This is a pasta extruder which I got for my birthday from Dave, my mum-in-law and my parents. It has 6 plates and I can now make spaghetti, bucatini, rigatoni, fusilli and macaroni. I have made some squid ink pasta and this weekend I will pick a shape and make our first batch. Tandy, your IMK gadgets and ingredients were intriguing — especially that pasta extruder. Oh, who am I kidding? I’m in love with your lead crystal glasses! (And, oh for a taste of the Glenfiddich that went in them.) 😉 Thanks for this peek into the heart of your home — fun & colorful! A Tanqueray & Lindt Party. Are you kidding me? The ultimate party! Looking forward to your report about the butter bell. I’d never heard of one but if it does the job, it would be a great asset. 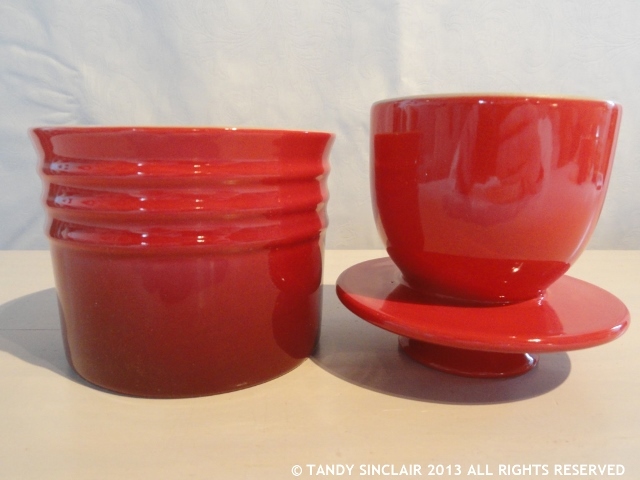 i LOVE LOVE LOVE the espresso cups – they are gorgeous! So many fun things to see in your kitchen! Your new pasta extruder is amazing! How lovely to have fresh bucatini! So many wonderful things in your kitchen this month. I am loving the disposable baking dishes. I can never find lovely ones like that. Also love your spice dabba. I have never heard of a butter bell so I await your review with interest. The Tanqueray and Chocolate has me intrigued. Almost as much as a Tanqueray and Lindt evening 🙂 Can’t wait to see what you make with them! 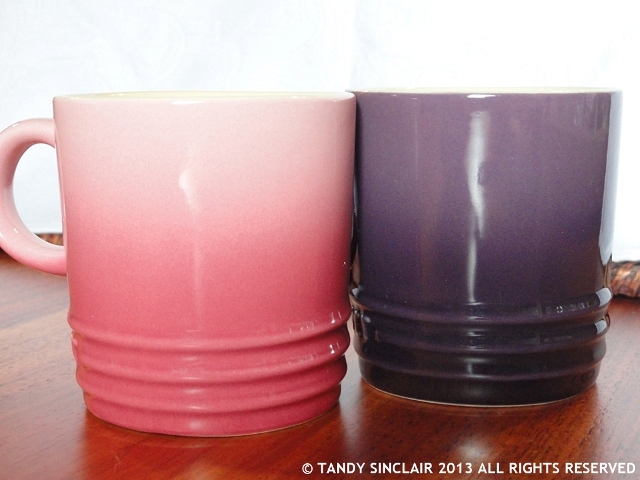 Love the pink and purple espresso mugs, so cute! Thanks Jas, I will be sharing some cocktail recipes soon! 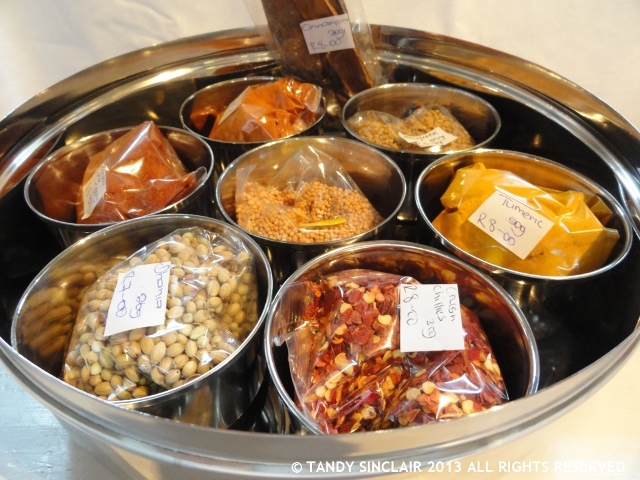 Love your spice dabba and ‘my’ gin and use the same chocolate! But, quite amazingly, tho’ I only live about 110 km SSW of Lorraine I am just at the moment curling up in bed on a quiet weekend reading her book: if you follow her and love her stories it is a great read and, as a bonus, you will be left with some pretty special recipes to boot !! Warm wishes from across the Indian 🙂 ! Oh I love the disposable bakeware. It is so pretty! I have read Lorraine’s book too and I loved it, she is so talented 🙂 Thank you for taking us through your kitchen. I have only just put my “In My Kitchen” post up :0! I have test driven it already but the pasta was not worth sharing – something for me to perfect and practice with, which I am looking forward to doing! Oooh I love your espresso cups Tandy! They are very cool. Hi Tandy, thanks for sharing your goodies… interested to see your baking with the cacao. I love those disposable baking tins! I hate being a pain and chasing up my pans when I give away my baking. Awesome solution, and they look pretty too. You always have such a great collection of prizes and gifts in your kitchen! I look forward to seeing them each month. And they espresso cups are so pretty- they will make a great presentation. So meny beautiful and tasty things. I just love your glasses and the mugs. They are so beautiful and the mugs are comfy on a winters day :). Love the colors as well. 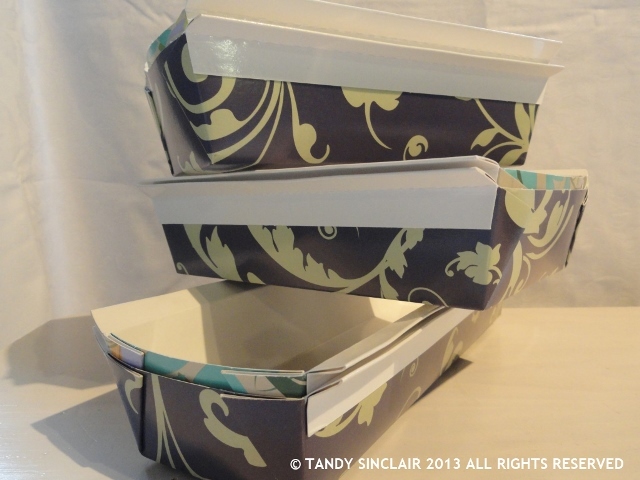 So many lovely goodies again this month in your kitchen Tandy – I look forward to hearing how your pasta extruder works. Thanks Claire, you can come over and visit anytime by the way! Maybe I’ll make homemade pasta this weekend….your attachment has inspired me! I hope The.Boy appreciates it! Love the disposable baking tins. 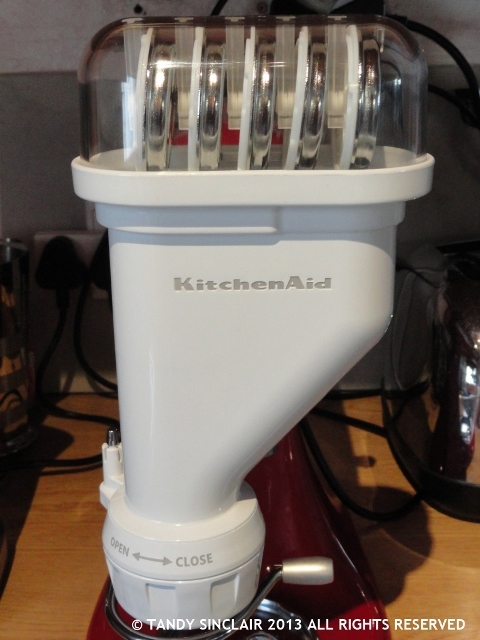 The kitchen aid looks to be a bit bigger than my kitchen – very cool. You should see how tiny my kitchen is! You have some lovely thingies in your kitchen, Tandy!! I am going to try my best to also do an IMK post today! Your spice dabba looks good and I’m intrigued by the butter bell. How does it work? Indeed, does it work? all lovely – your cakes will look fantastic in the disposable baking tins – great for transporting and gifts. Love your le creuset – never heard of a butter bell before but it looks very stylish. I’ve never heard of a spice dabba before but it looks like a thing of beauty with all those spices and must smell wonderful. And hope you enjoy the NQN book – it is a great book to curl up with. Pingback: In My Kitchen August 2013 | What's On The List? G’day and congrats Tandy for the glasses you and Dave won, true! Love your disposable dishes, and goes without saying Lorraine’s book is a gem and have always wanted to try a pasta extractor; might have to put that on my list to do! Thank you for inviting me into your kitchen today too! Ooh lovely stuff. You must use this post for the recent le creuset competition. You might just win a R200 voucher to complete your espresso cup collection. I was just wondering how one makes macaroni when you make your own pasta. Nice goodies. Let me know how the butter bell works out. I wanted to order one with my Blue Ribbon prize, but they didn’t have red in stock on the day. Looking forward to seeing what you make with the pasta machine.